25 Simple Kitchen Hacks That Will Make Your Life Easier. I would like to think of myself as fairly adept in the kitchen. I have all the spices I need and a fridge stocked with food I think will feed my family over the course of a few days with ease and absolutely no stress. Mind you, as I wrote earlier, this is how I would like to think of myself. In reality, when looking head on at the prospect of putting a meal together for my family, I find myself wondering why I didn’t have more simple hacks in my toolkit to make the process easier. During the frenzy of cooking and preparation, I usually look frantically in my cookbook for simple tips to make my life easier but to no avail. Imagine my surprise when I found more than a handful of kitchen hacks designed to make me look like a pro. It is my responsibility to pay these forward in the hopes that your meal time prep and general cooking know-how is a bit more polished. #1. Use onions to heal a burn. An onion will help avoid forming blisters when you apply it on the burn. #2. Don't throw away your coffee grounds. 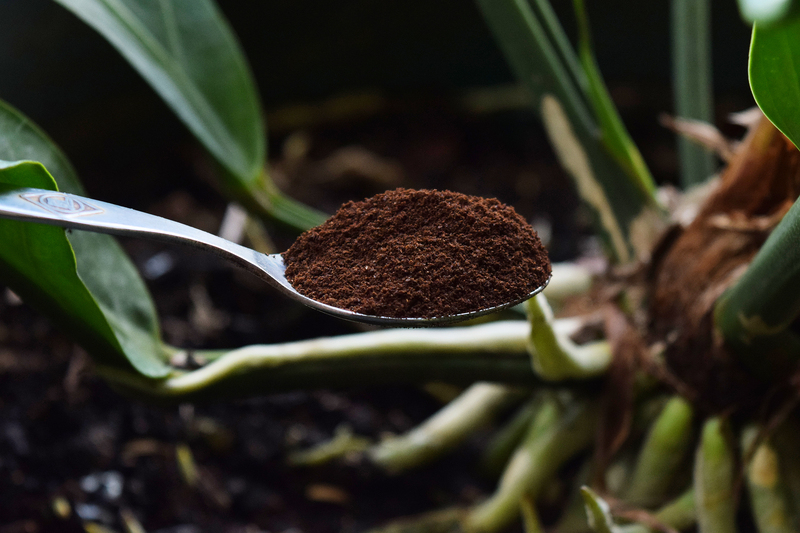 Coffee grounds will help your plants such as tomatoes grow faster. #3. Don't throw away the honey. You do not have to throw out your honey when it crystallizes and hardens. Put it in hot boiling water till it becomes runny again. Avoid putting the jar in the fridge and keep it away from moisture. #4. Crispy potatoes coming your way. Pour a table spoon of flour to your potatoes while cooking.The outside of the vegetable will get hard and crunchy. For those extra pancakes, simply store them flat in airtight plastic bags. Microwave at 30 seconds increments to warm up during the week. This applies to waffles and crêpes. #6. Stainless steel bowls are your friend. These bowls are great for bake mixing, dressings, salad making and even for your movie popcorn. #7. Extra water for your plants. When you boil potatoes and pasta, let the water cool. Pour the water (sans pasta and potatoes) it in your potted plants. Your plants will love the extra nutrients in the water. #8. Make them last longer. Keep your bananas together until ready to eat. If you separate them, they will turn brown faster.